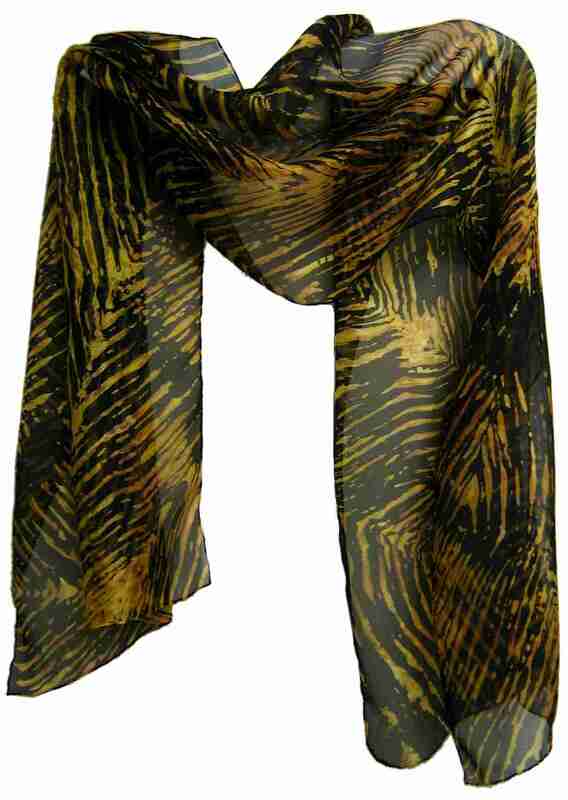 Go wild with this animal print inspired silk organza wrap. This elegant one of a kind piece can be worn as a wrap or a scarf. TECHNIQUE: Each scarf is individually hand dyed using a classic shibori process and no two are exactly the same. For more information on the shibori dye process used to create these unique and beautiful textiles please see the Artist Statement. 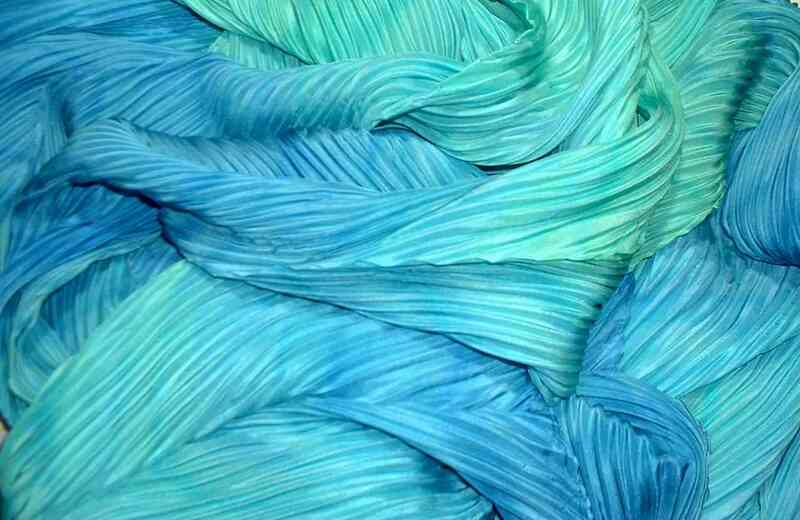 A beautiful silk organza wrap with a luminous quality and a magical mixture of shades and textures. 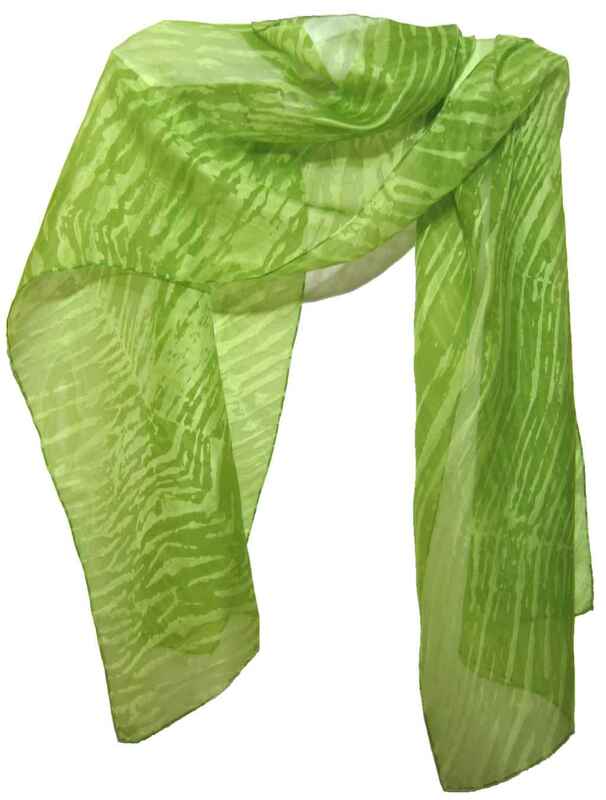 This piece can be worn as a wrap or tied as a scarf. 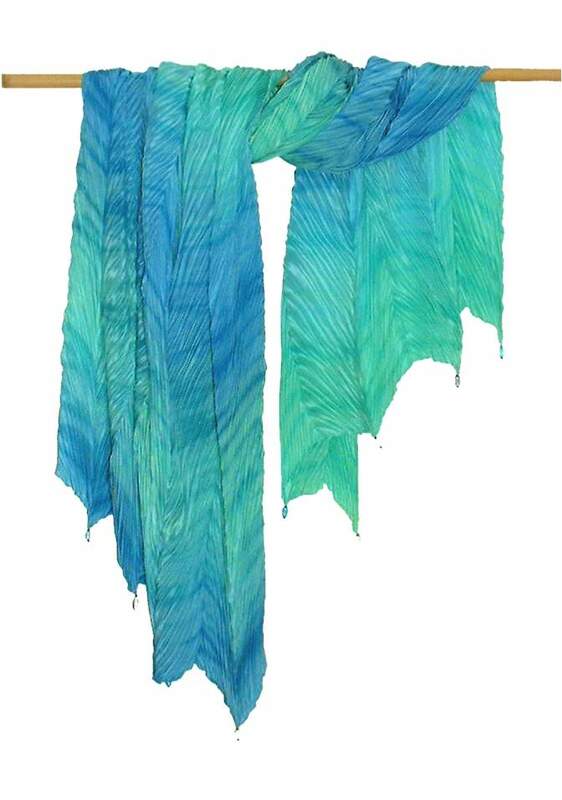 This beautiful, sculptural wrap is fabuluous to look at and a joy to wear. This is the supreme fashion accessory. It's alive with colour, texture and light. The bead trim adds weight and movement to this amazing piece. TECHNIQUE: Each wrap is individually hand dyed and hand pleated using a classic shibori process and no two will be exactly the same. For more information on the shibori dye process used to create these unique and beautiful textiles please see the Artist Statement. 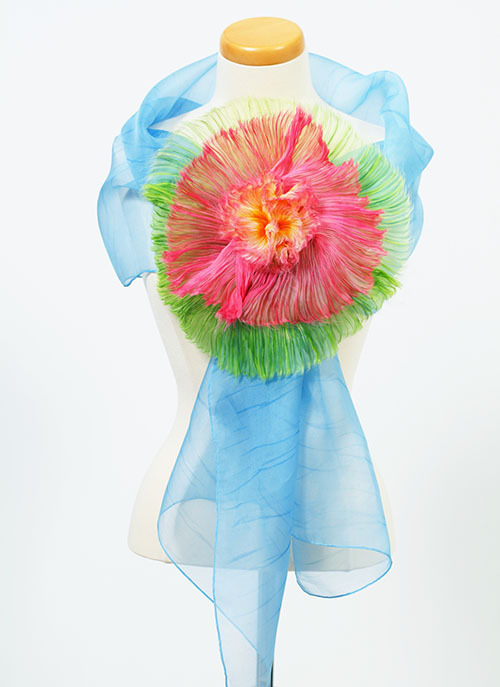 This sculptural water lily shaped floral wrap will definitely make a dramatic entrance. 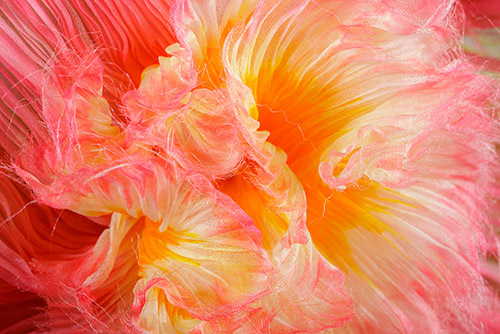 This piece is created using hand dyed shibori pleated organza with a whimsical raw edge. It's amazingly light weight and easy to wear. The flower can be separated from the wrap for easy of storage. The organza wrap can be hand washed. SIZE: Flower 24" round, Wrap 22" x 72"